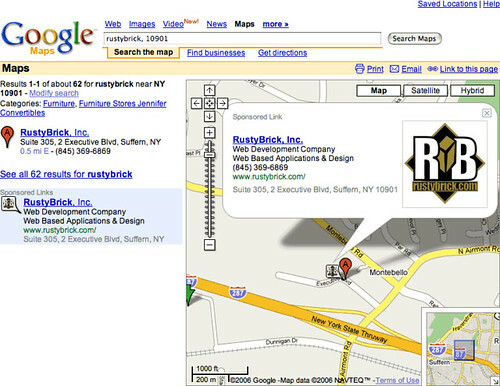 Home > Google News > Google AdWords > Google to Sprinkle Ads All Over Google Maps? It appears that this is going to expand out the icons use in Austrialia on Google Maps, but it's not clear that they necessarily intend to do this in the United States. The've already had really extensive sponsor icons in Japan maps, but fewer sponsor icons appearing on U.S. maps. Perhaps they're trying to master it in a foreign market before expanding it out in the U.S.? It seems as if this move would dramatically add more of these ads on the maps. The main question is, will they be relevant or distracting? Previous story: Google AdWords Banning Advertisers For Multiple "Poor Quality Landing Pages"